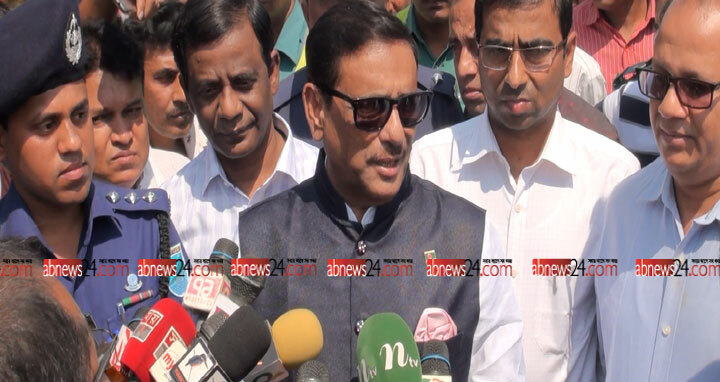 Dhaka, 10 Mar, Abnews: Road Transport and Bridges Minister and Awami League General Secretary Obaidul Quader today said the government has no intention to keep BNP aside from the next parliament polls. "I suggest BNP to take preparations for the next general election," he told newsmen while visiting the work for upgrading the Dhaka-Tangail highway to four-lane at Chandra in the district. Quader said BNP could not wage any movement in the last nine years and it will not be able to do that in the future. The people would not support it if BNP creates public sufferings by stopping vehicular movements in streets, he added.